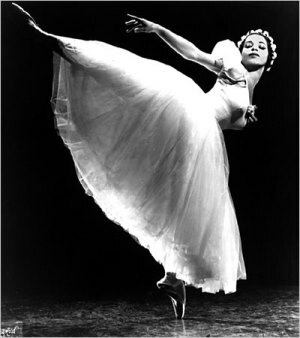 December 20, 2018: Dance/USA was saddened to learn of the death of 2015 Trustee Awardee Raven Wilkinson, one of the first African-American ballet dancers in a major U.S. company, on December 20, 2018. She was 83 and is remembered for her grace, strength, and fortitude in the face of adversity. Generations of dancers have looked to Raven Wilkinson, the one time Ballet Russe de Monte Carlo ballerina, as proof that ballet, with its narrow aesthetics and centuries-old traditions, can offer a place for dancers of color. From dancers like former Dance Theatre of Harlem principal and current artistic director Virginia Johnson to Houston Ballet’s lead dancer from 1983 – 2006, Lauren Anderson, to current media icon and American Ballet Theatre soloist Misty Copland, they each attest that the path Wilkinson forged as the first African American ballet dancer in a major American company was invaluable as they rose in their own careers. 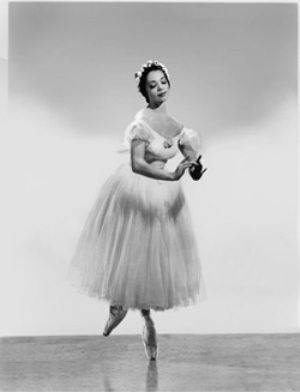 Between 1955 and 1961, Wilkinson toured the United States, including the segregated deep South – places like Atlanta, Georgia, and Hattiesburg, Mississippi, along with the rest who she called the Ballet Russe gypsies. It wasn’t always easy, though more often than not, the light-complected black dancer was never noticed in the troupe filled with Russian, South American and European expats of varying ethnicities. When Raven was five, her mother took her to the School of American Ballet because Wilkinson said she was always dancing around the living room. “They said, ‘We don’t accept them that young. We wait until about nine when the muscles and bones are formed.” So instead Wilkinson’s mother signed her up for Dalcroze lessons, where, she recalled, “You can be a flower or a bumblebee and we tapped out the beat on the floor. Later, I was very interested to read about the Dalcroze history: Mr. Nijinsky and Mr. Diaghilev went to actually look at the training in Germany.” Formal ballet lessons began after her ninth birthday, with money sent as a gift from her uncle in California. At this point, a few of the stars of the great earlier Diaghilev-driven Ballets Russes were performing Serge Denham’s Ballet Russe de Monte Carlo. Denham purchased Maria Swoboda’s school, Wilkinson said, because he saw other companies like Ballet Theatre, had their own schools. “So I would see the students who were coming up who were taken into the [Ballet Russe] company. We all had to audition in the spring. I was considered, but I just never got in,” she said. Asked if she felt the rejection was due to her race, Wilkinson replied: “I had always thought of it as a duality. In one sense, I thought it is an issue of race, but, in another, all dancers just do the best that they can and they take classes and they just think if they take more classes … maybe he wants more ballon … or something else. So I didn’t put it all on race.” But Wilkinson added that she realized that growing up “a dark cloud” could keep her from ever being accepted into a classical ballet company: the dark cloud being her race. “I knew that I might never find any place,” she said. “But I felt, so what, you just have to go with it. And, with my complexion, well maybe there was a chance.” But as a spring audition approached, an administrator spoke with Wilkinson and advised her not to audition. “He was in contact with Mr. Denham’s secretaries so I figured he knew what he was talking about.” She recalled being told that because the company toured through the South, they couldn’t take her due to the segregation laws and racist attitudes of the era the company would encounter on tour. She joined the company and prepared for the 1955 tour, which traveled to small cities and towns throughout the East and South, before hitting Chicago. Denham suggested that her spot was temporary, and that he “had a girl in Chicago.” Wilkinson asked him to be more forthright and express his concerns about her race openly. She forthrightly told him that if she was asked, she would never hide the fact that she is black. Another time, during her second tour with the company as a soloist, one hotel manager sensed something was different about her. Typically, particularly in the South, Wilkinson would hang back and let her tour roommate, Eleanor D’Antuono, pick up the room key or settle the bill. But the manager called over the hotel elevator operator, who was black, and asked her to point out if anyone was black in the group. She spotted Wilkinson immediately. Wilkinson was asked to leave. A cab was called to take her to what she remembers as a very nice hotel for what then were called “coloreds only.” D’Antuono wanted to go with her, but Wilkinson insisted her roommate stay behind, noting that a white roommate wouldn’t have been allowed in a black hotel either. When Wilkinson left the company, it had been a long four years, and the stress of dancing and traveling took its toll. She danced numerous roles in ballets including Ballet Imperial, Le Beau Danube, Capriccio Espagnol, Gaite Parisienne, Giselle, Graduation Ball, Harlequinade, Swan Lake, Variations Classiques and the waltz in Les Sylphides. It’s been written that she was specifically asked to wear white makeup on stage. Wilkinson told the story differently to Dance/USA, noting that everyone in the corps de ballet put Johnson’s baby powder on their arms and shoulders when they danced the white ballets – Les Sylphides, Giselle, and Swan Lake – it wasn’t just her. As for the face makeup, she said that the year the great Cuban ballerina, Alicia Alonso, toured with the Ballet Russe, Alonso asked the wardrobe mistress to give Wilkinson a jar of makeup that Alonso herself used to lighten her skin. After her tenure at the Ballet Russe, Wilkinson did some audition rounds, with Lucia Chase at American Ballet Theatre, among others, and even met with George Balanchine. But neither could find a place for her in their companies. Then she stopped dancing entirely and joined an order of nuns briefly, in 1963. But she found herself back in class and back in New York receiving an invitation to work with the Dutch National Ballet in 1967, where Wilkinson danced many classical and romantic ballets she was already familiar with, along with a smattering of Balanchine works and others by Dutch and other European choreographers. Yet, she missed home, particularly the verve and excitement and diversity of New York. Upon returning in 1974 she immediately got cast as a dancer in the New York City Opera Ballet. Wilkinson didn’t officially retire as a dancer until 1985, at age 50, and she then continued to perform as an actor with the opera at the Metropolitan Opera House until 2011, when the company disbanded. Today, as Wilkinson sees successive generations of dancers of color succeed, she knows that change is coming, though, perhaps, still too slowly. “We’re just going to have to accept the fact that we’re going to have to put people of different hues in these [classical ballet] roles,” she insisted. “Aesthetics can change once you get used to it.” She points to American Ballet Theatre soloist Misty Copeland, who recently made her American debut as Odette/Odile in The Washington Ballet’s production of Swan Lake. Wilkinson is looking forward to seeing her mentee dance that role at home in New York with ABT in June 2015. Lisa Traiger edits From the Green Room, Dance/USA’s online journal, and writes frequently on dance and the performing arts for a variety of publications, including Dance, Dance Teacher and Washington Jewish Week. An award-winning arts journalist, she is a former co-president of the Dance Critics Association and holds an MFA in choreography from University of Maryland. Photos courtesy of Raven Wilkinson.